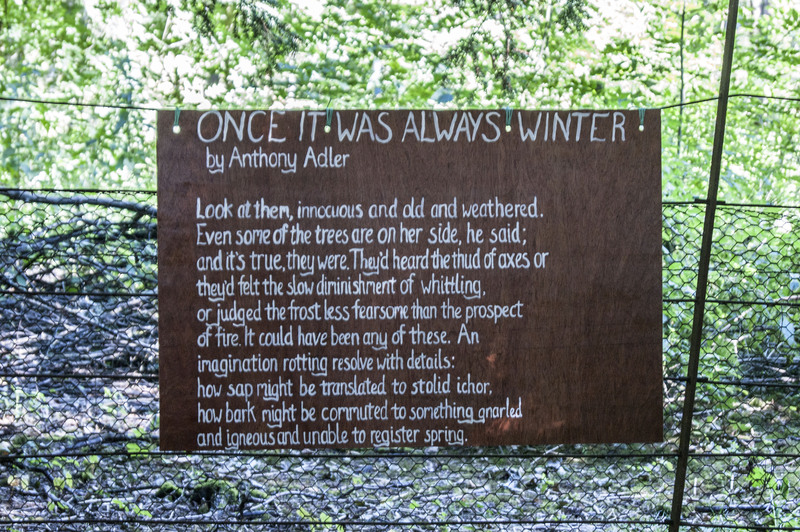 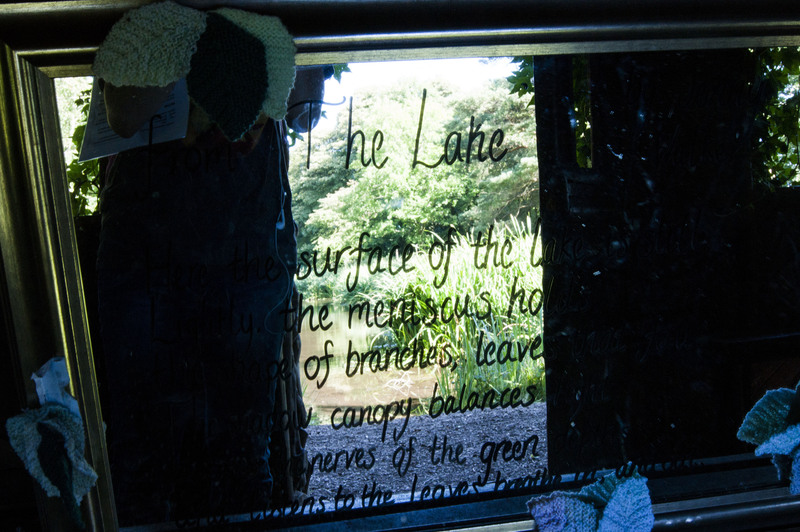 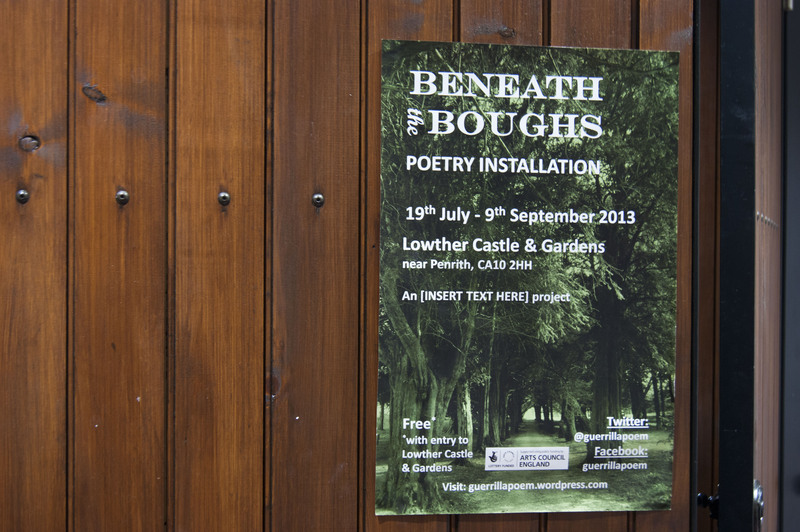 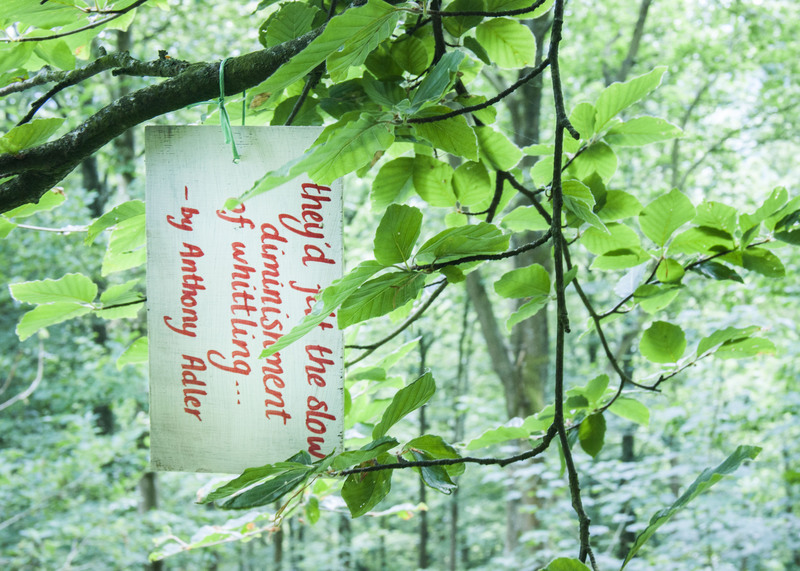 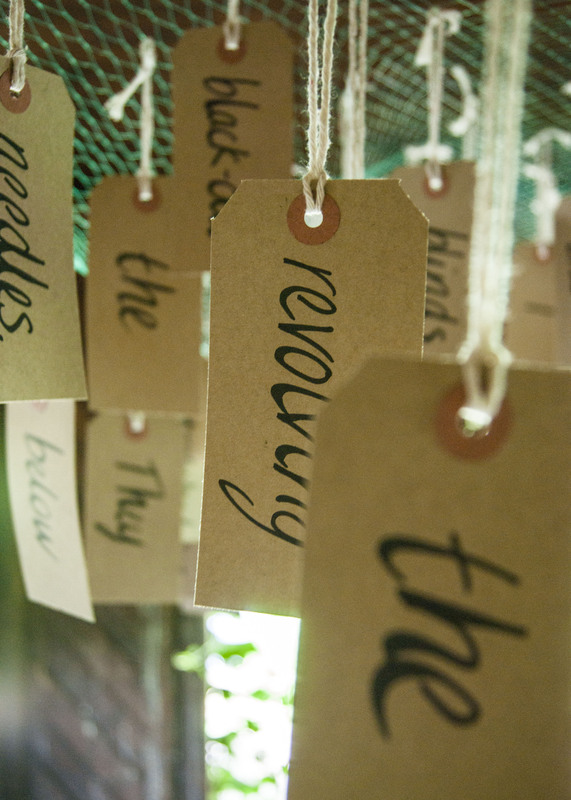 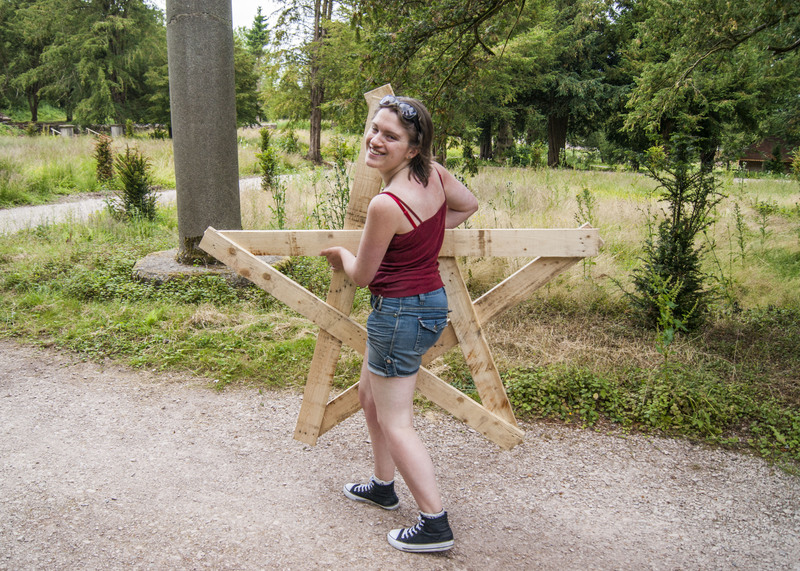 In 2013, I organised Beneath The Boughs: an installation of contemporary poetry at Lowther Castle, Cumbria. 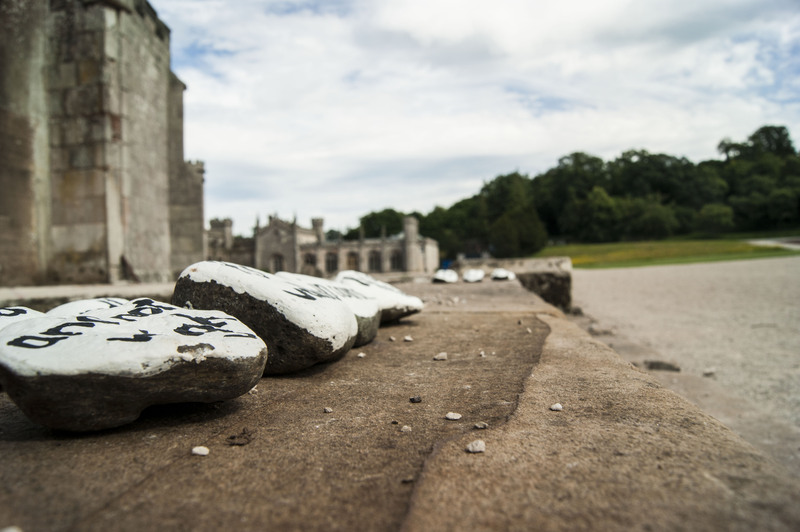 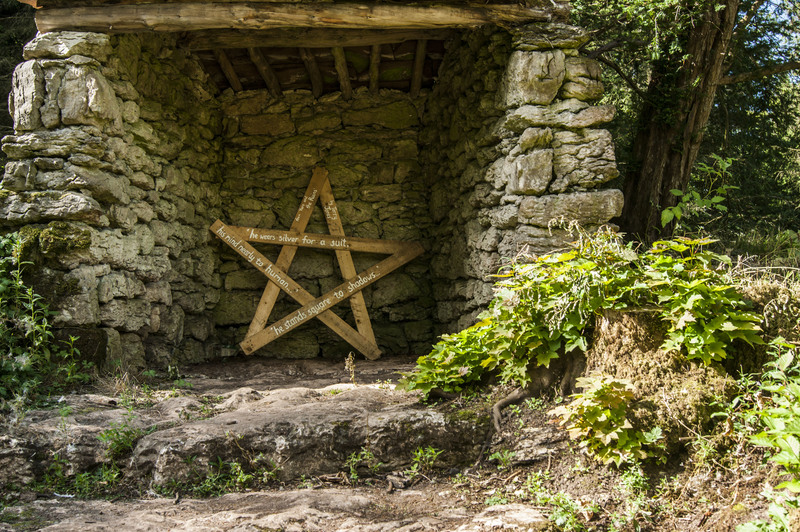 The idea behind the project came from the gardens of the castle. 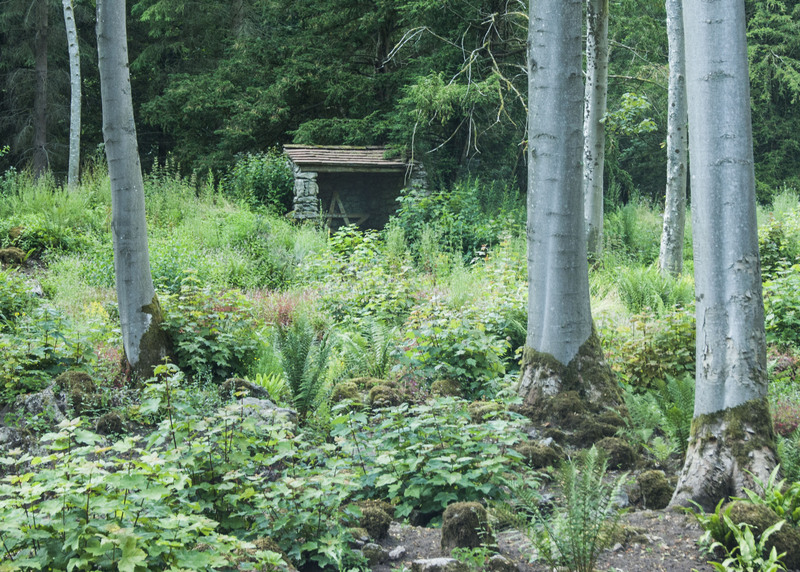 Once a place of formal grandeur, the gardens had since become overgrown and almost wild. 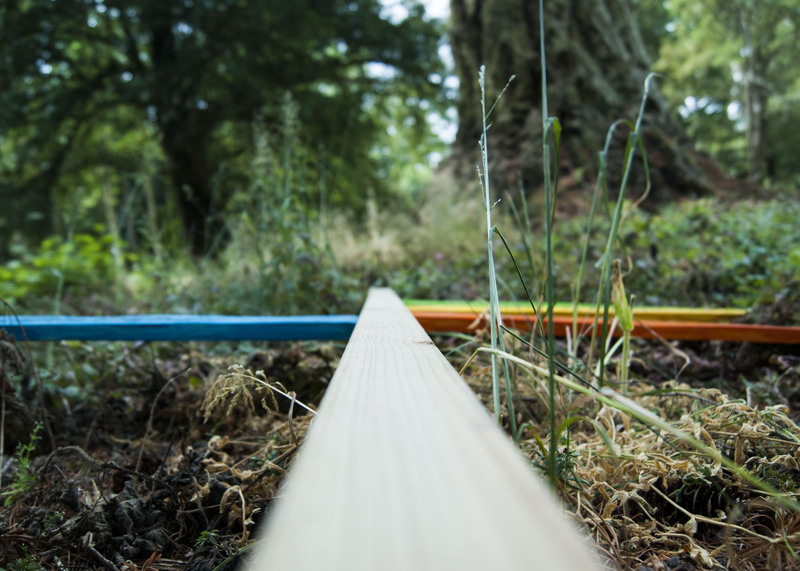 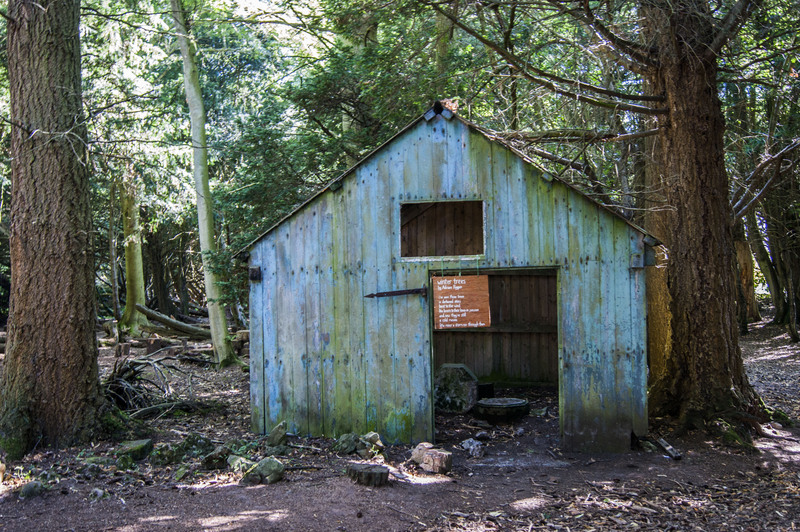 While the Lowther Castle & Gardens Trust have been working hard to uncover the garden from it’s decades of unchecked growth, it still balances the wild with the contained. 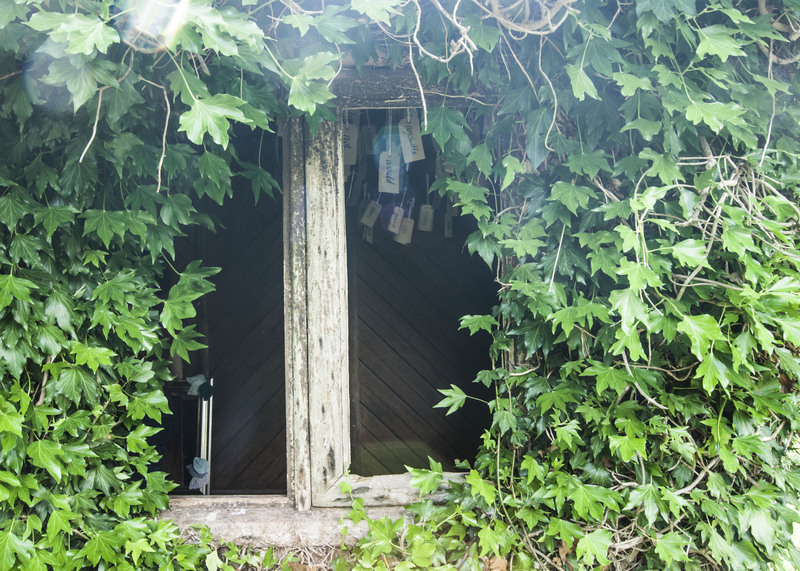 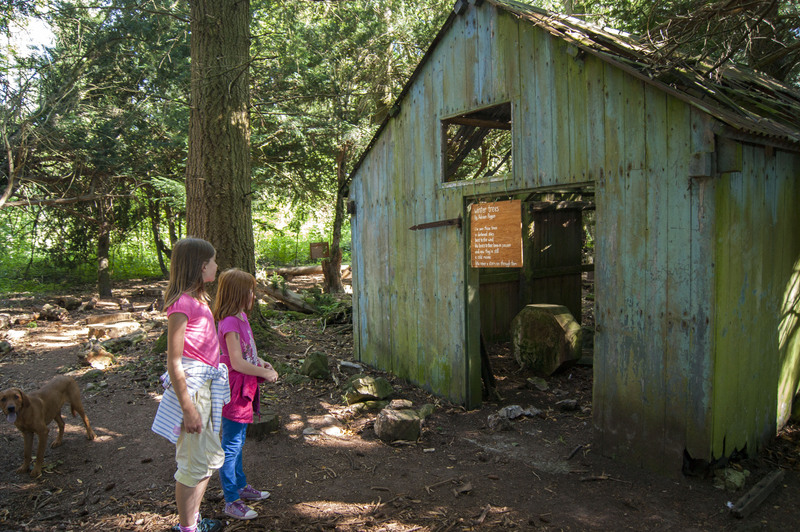 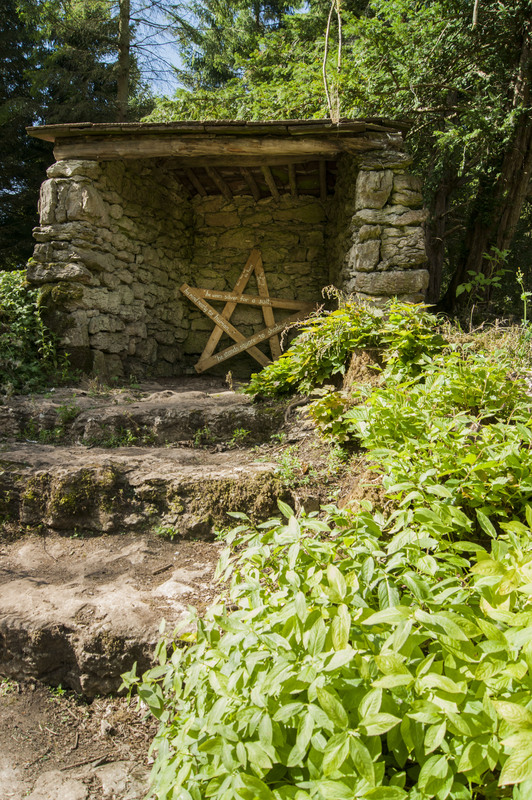 Like a woodland in a storybook, it’s a place to be explored, where anything can be discovered: from old carved stones, to Victorian summerhouses, to a mirror-like iris-filled pond. 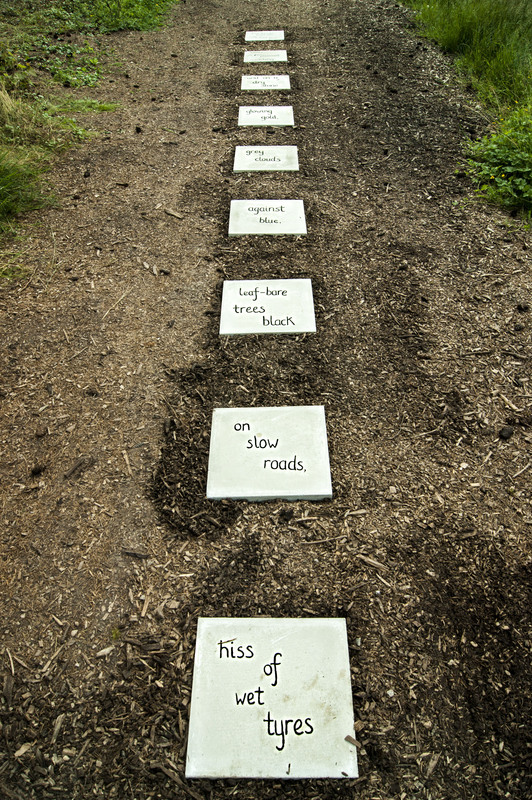 My idea was to add a further element of discovery: poetry. 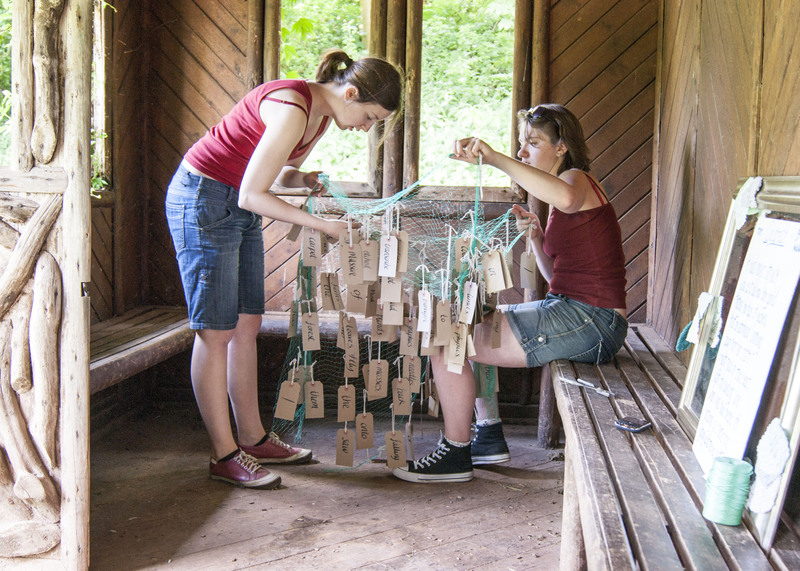 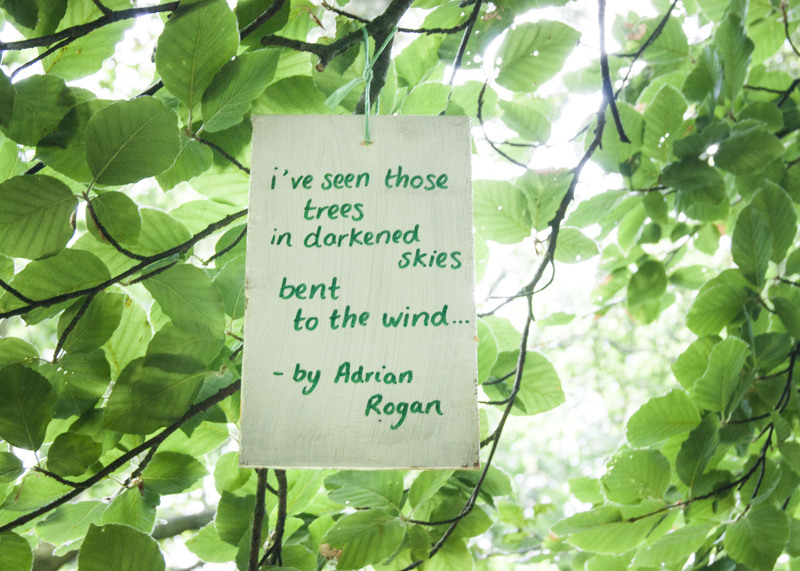 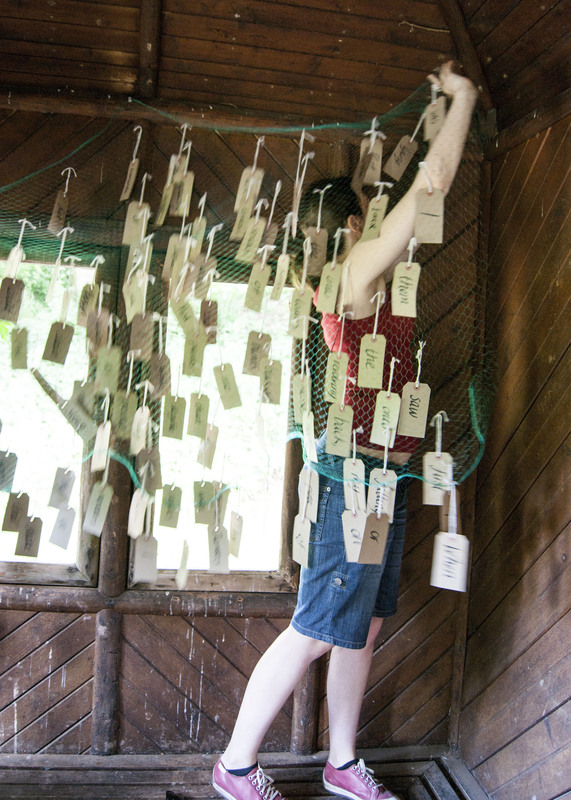 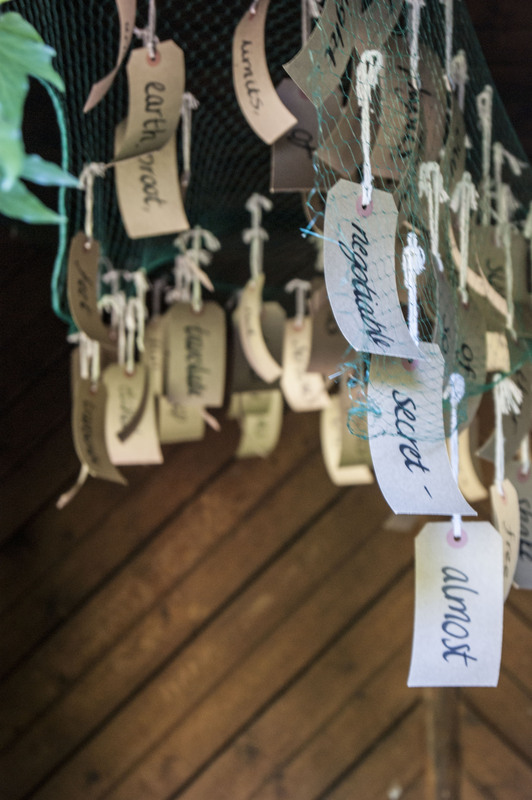 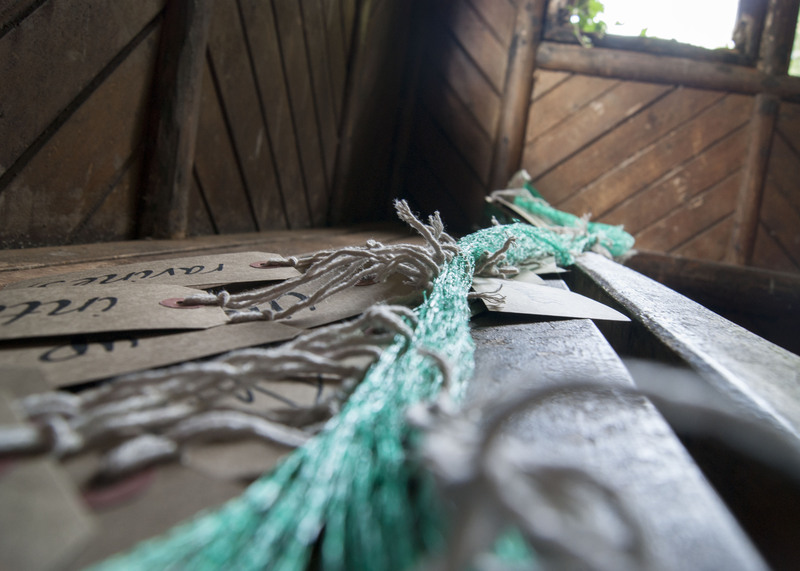 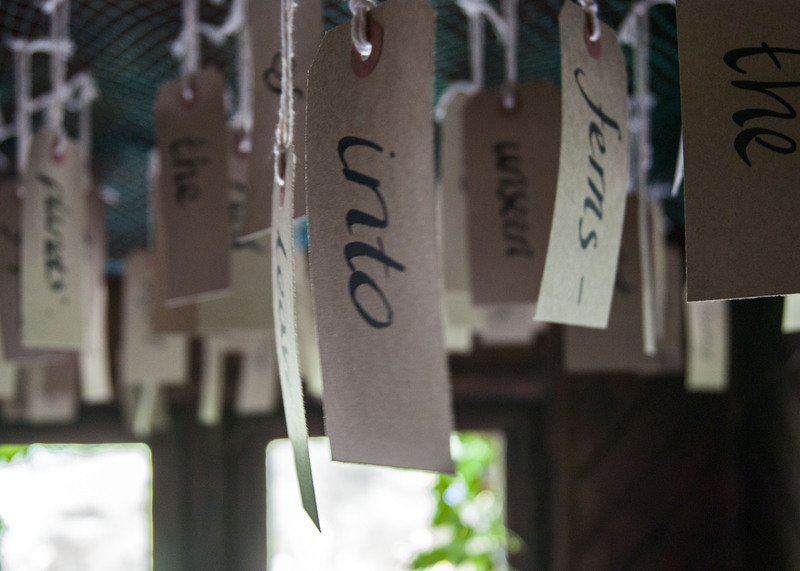 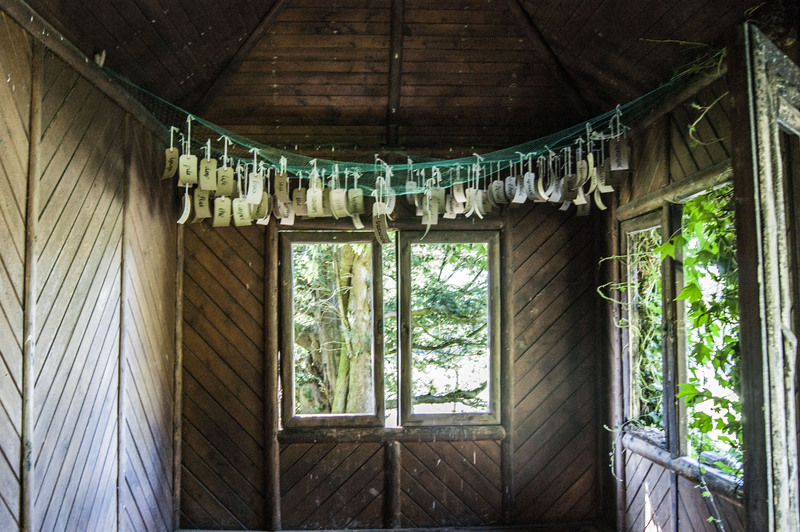 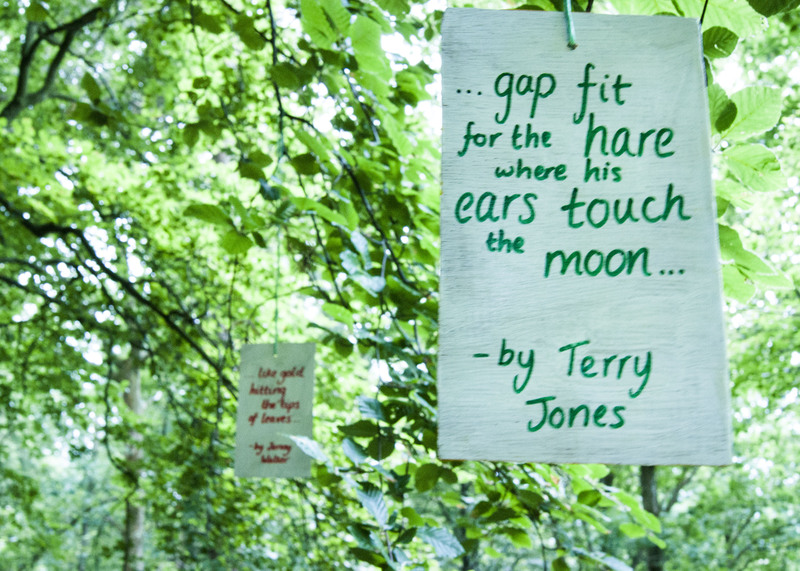 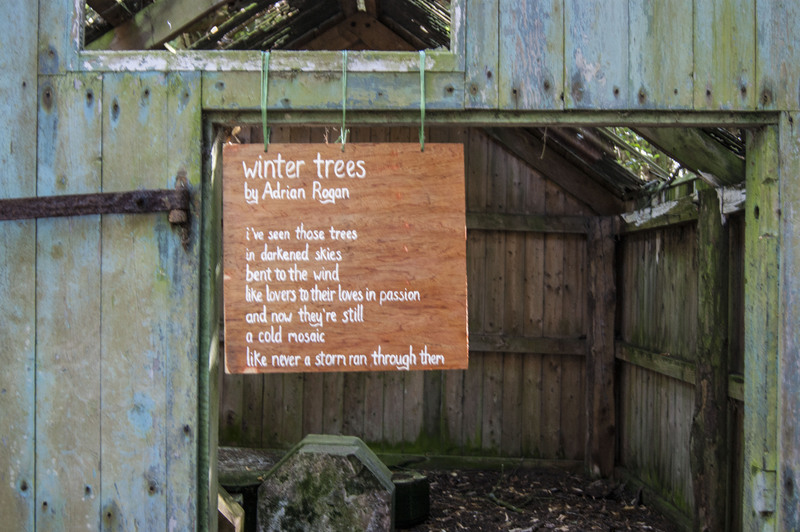 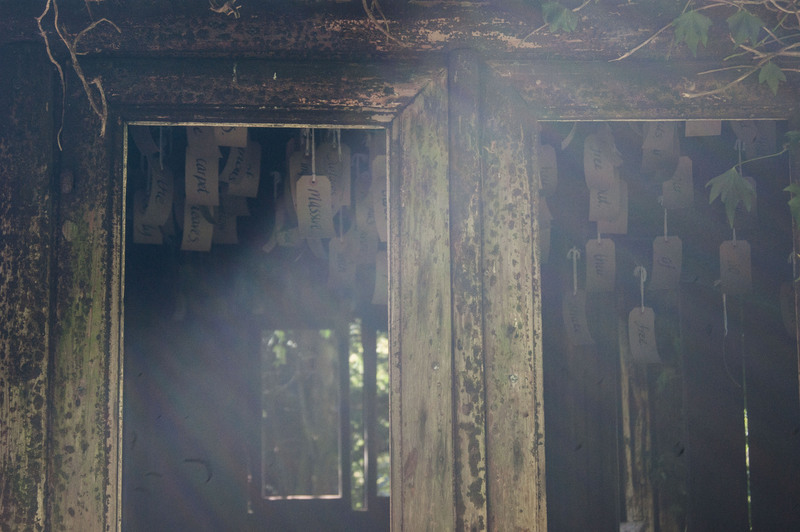 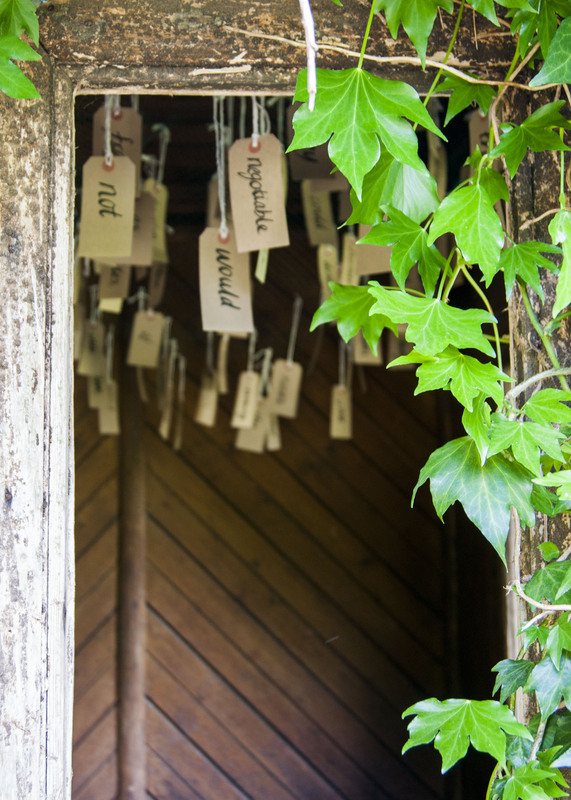 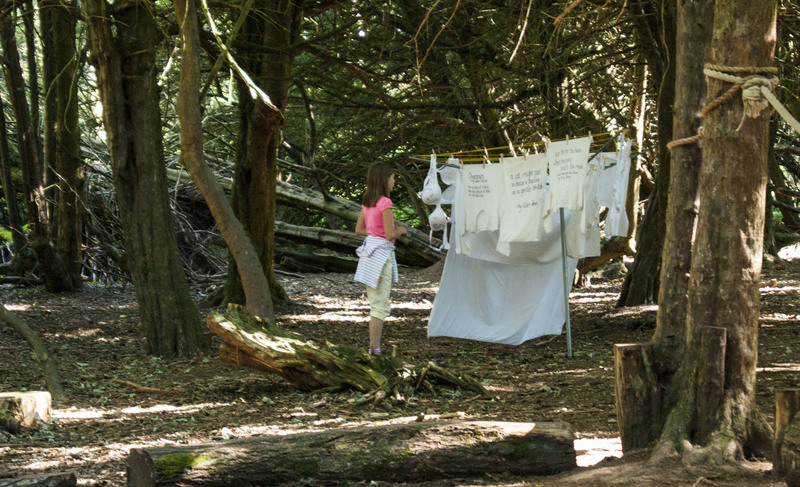 The installation featured work by poets from Cumbria to Singapore, and included poems hung from trees, in Victorian summer houses, and even on underwear on a laundry line! 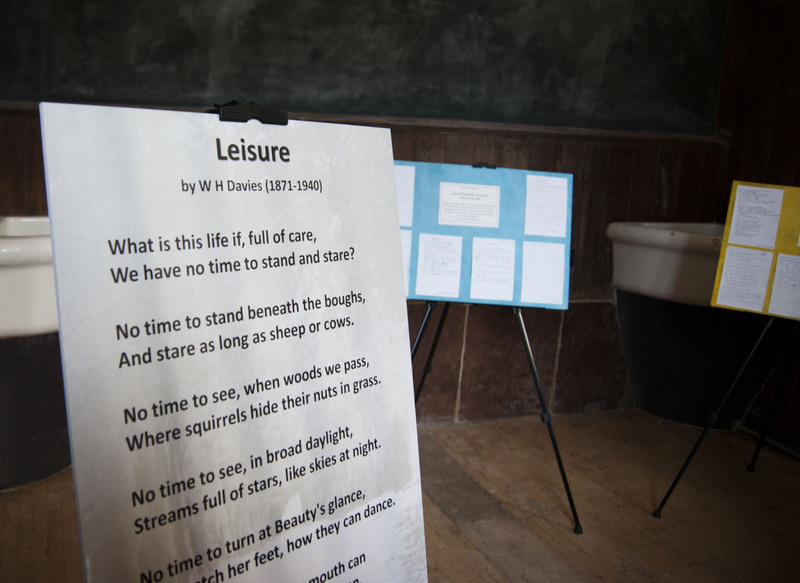 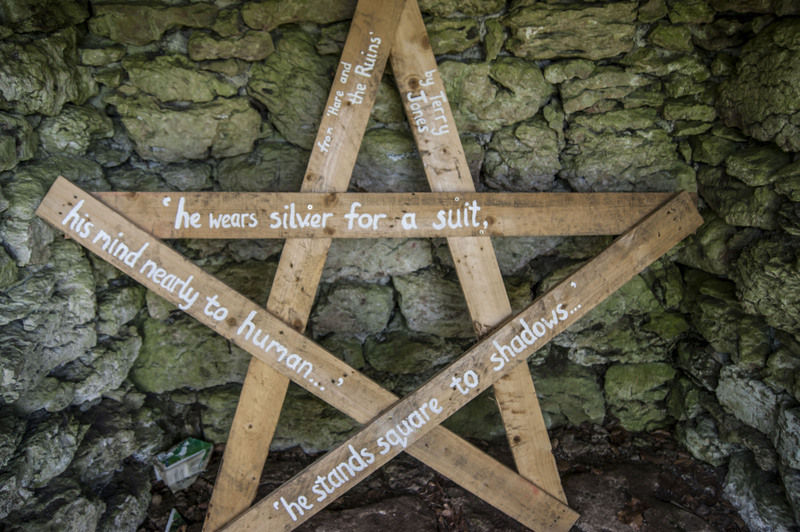 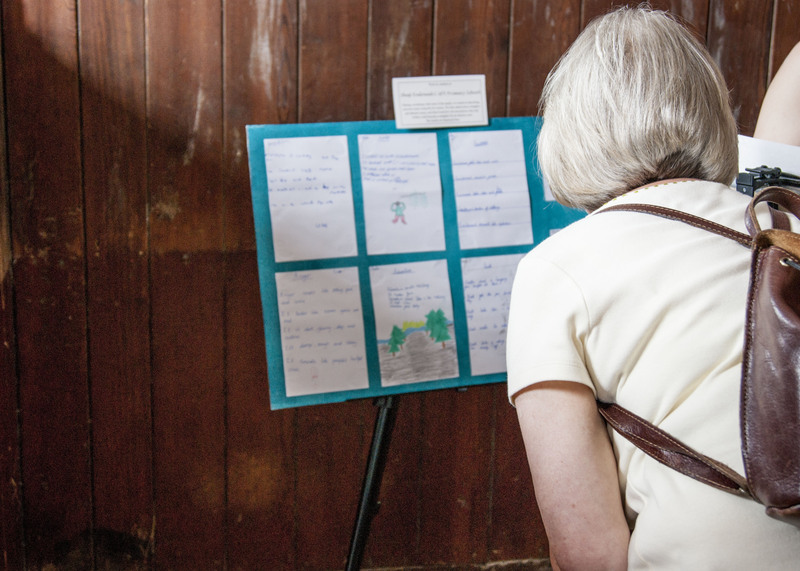 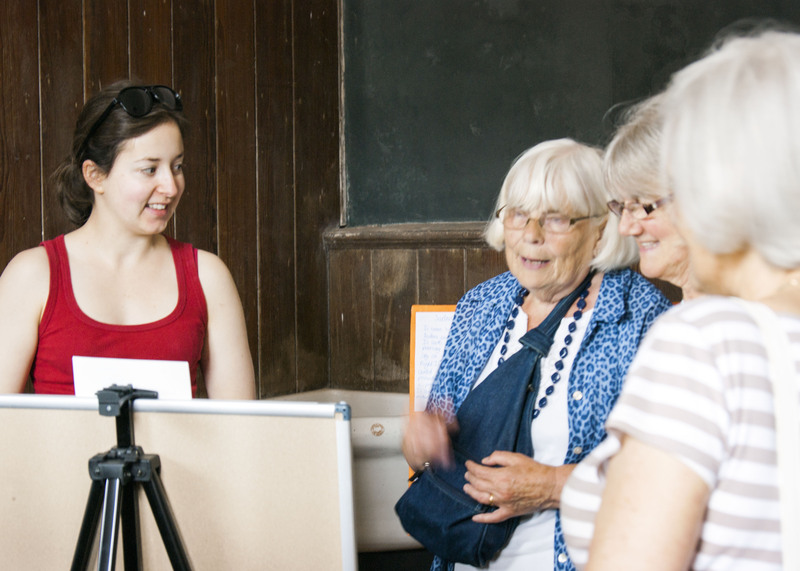 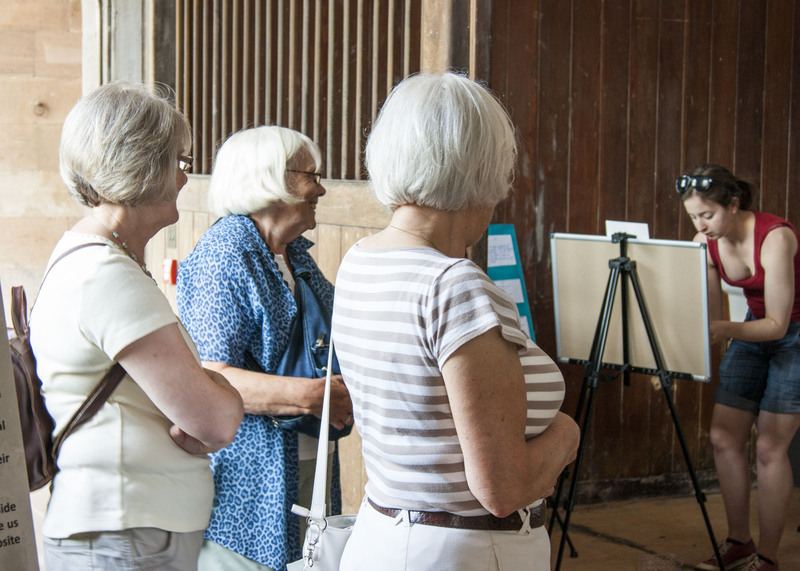 The exhibition also included an interactive area, where visitors could create their own poems, as well as work by local students from Shap Primary School and Queen Elizabeth Grammar School. 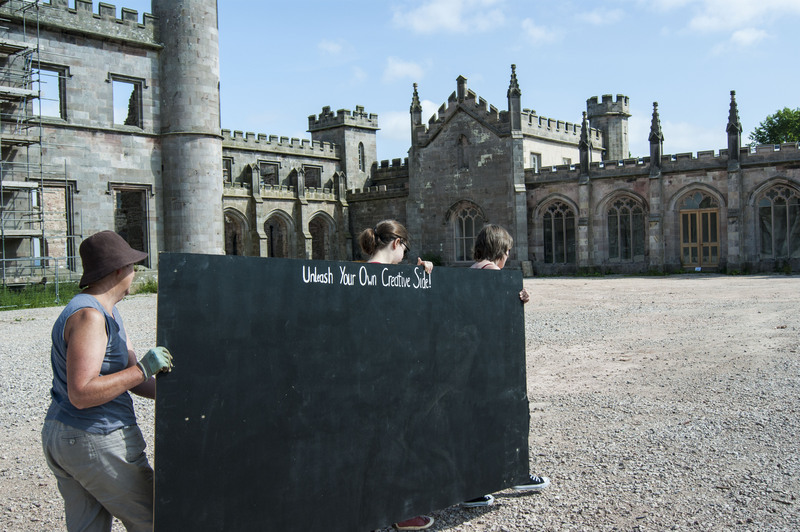 Over seven thousand people saw the exhibition during its two months at Lowther Castle in 2013. 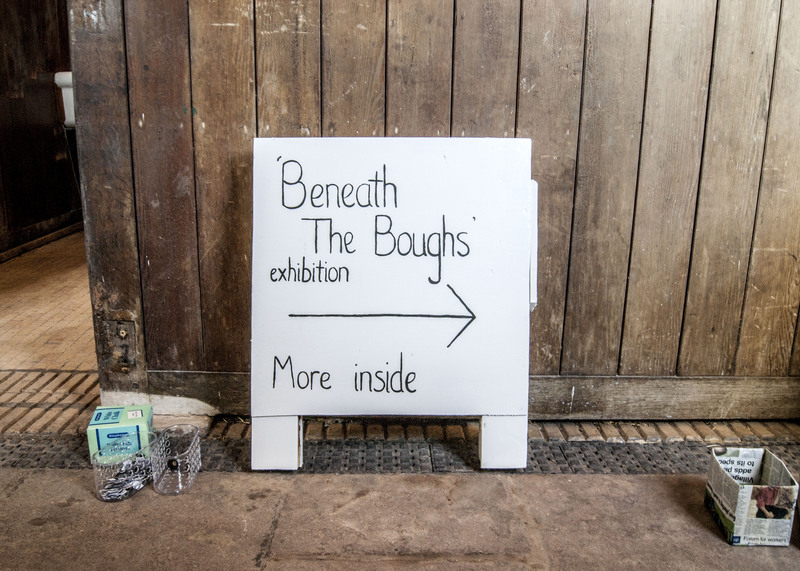 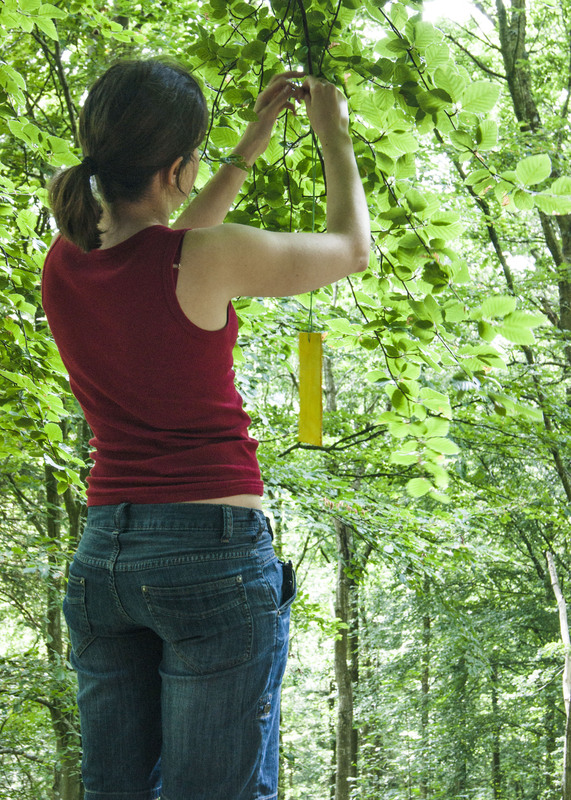 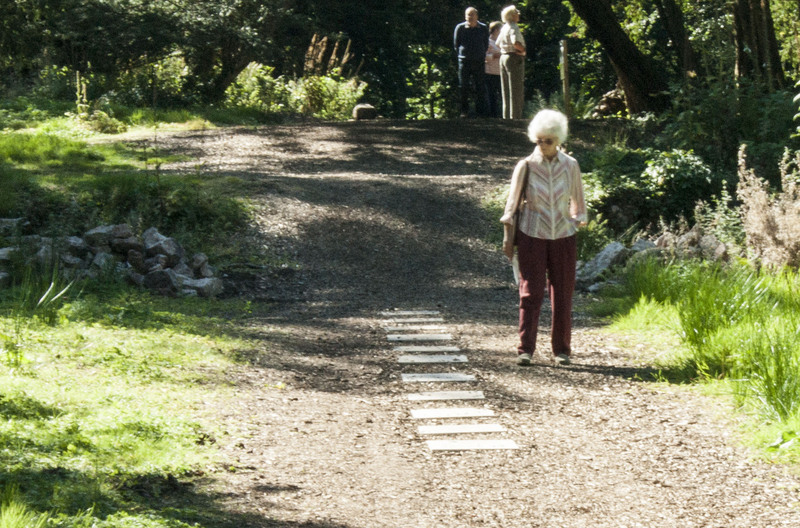 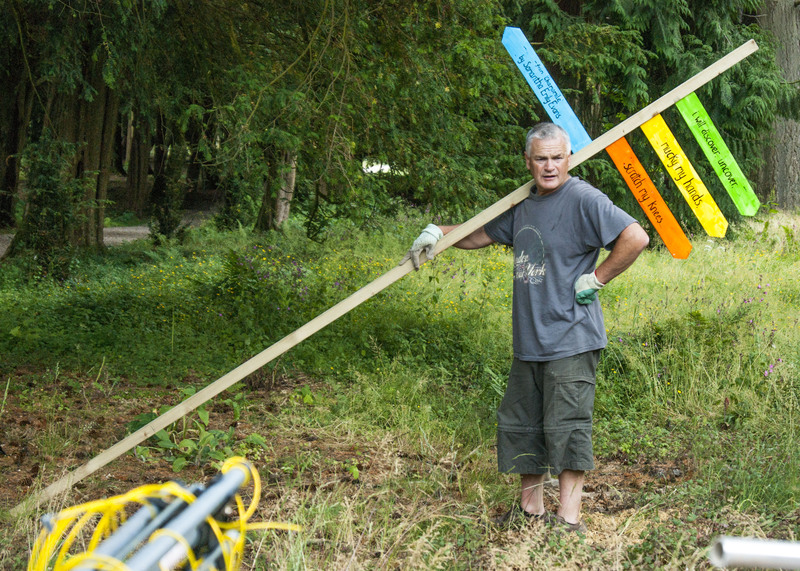 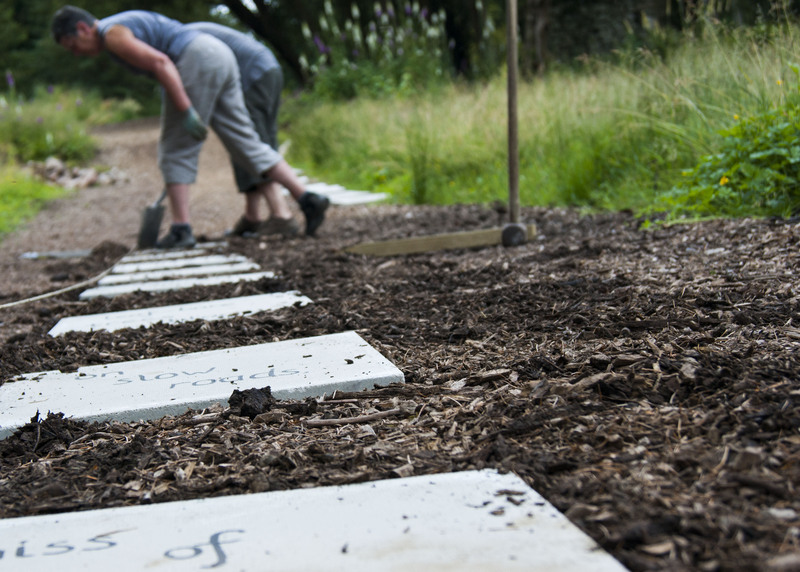 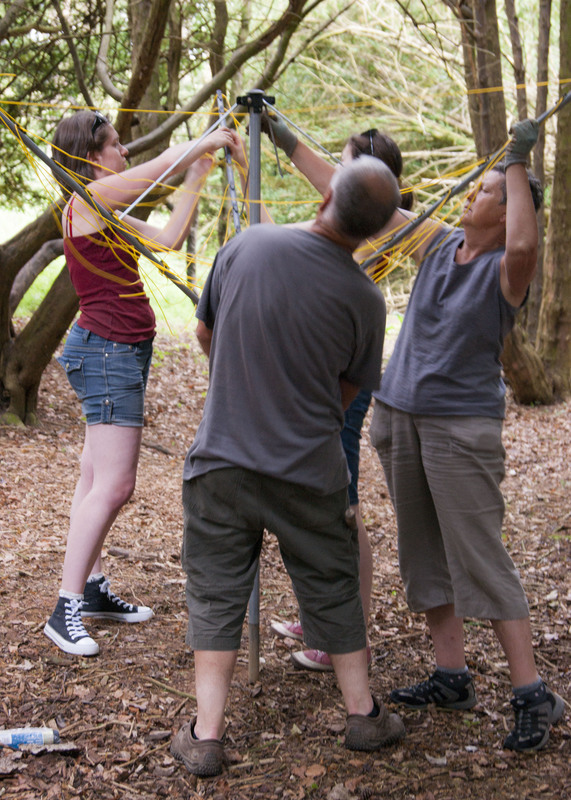 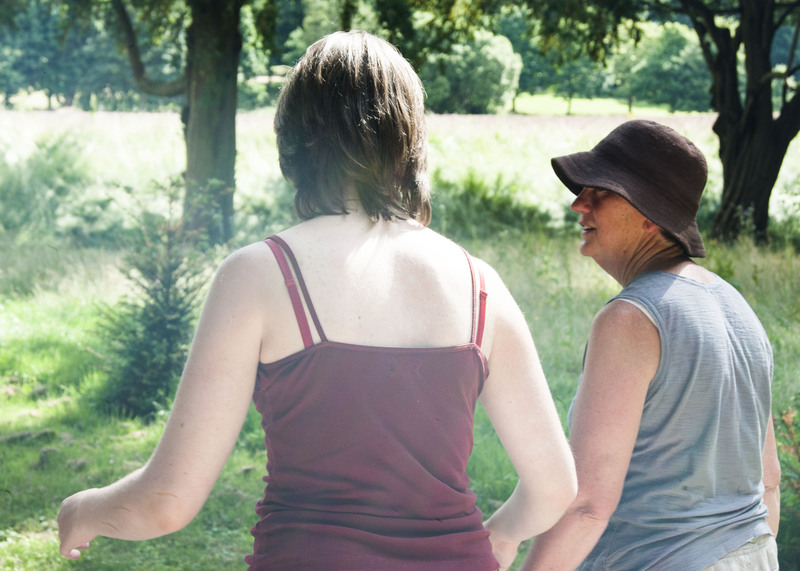 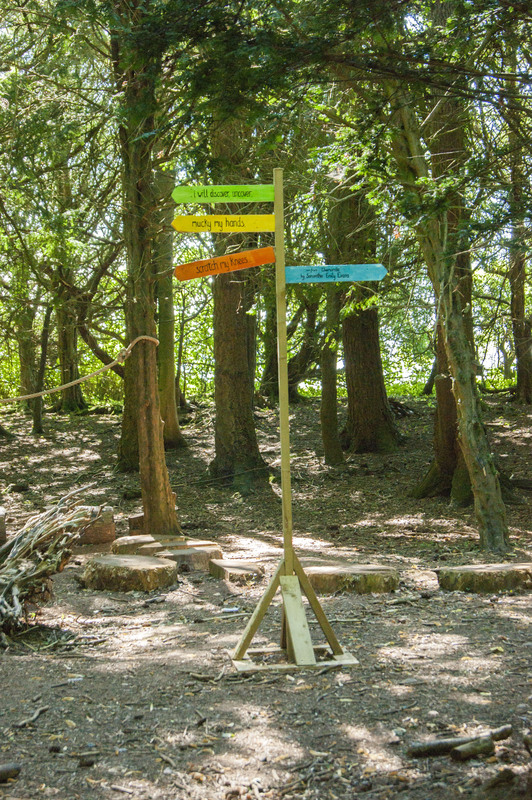 Beneath The Boughs was funded by Arts Council England. 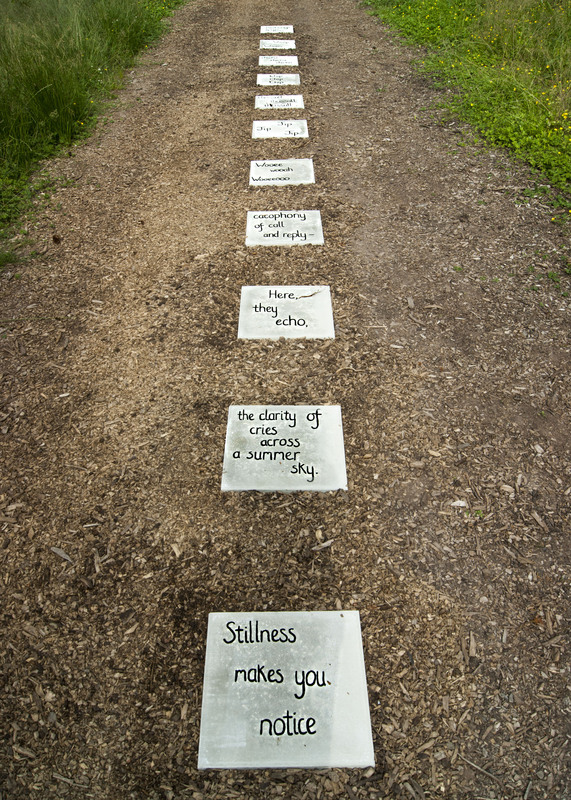 In the lead-up to the installation, I ran poetry workshops for sixth form English students at Queen Elizabeth Grammar School, Penrith, and for year 5/6 at Shap Church of England Primary School. 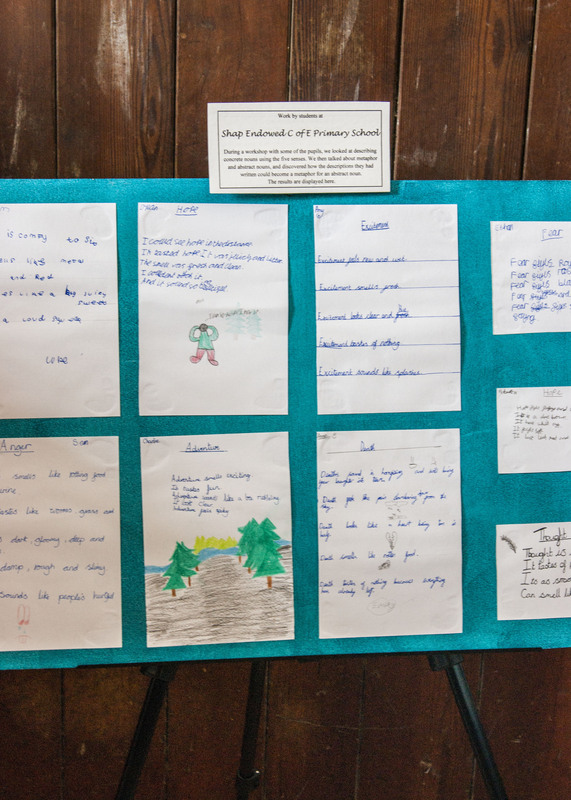 In the secondary school workshop, we looked at dramatic monologues and the personification of animals. 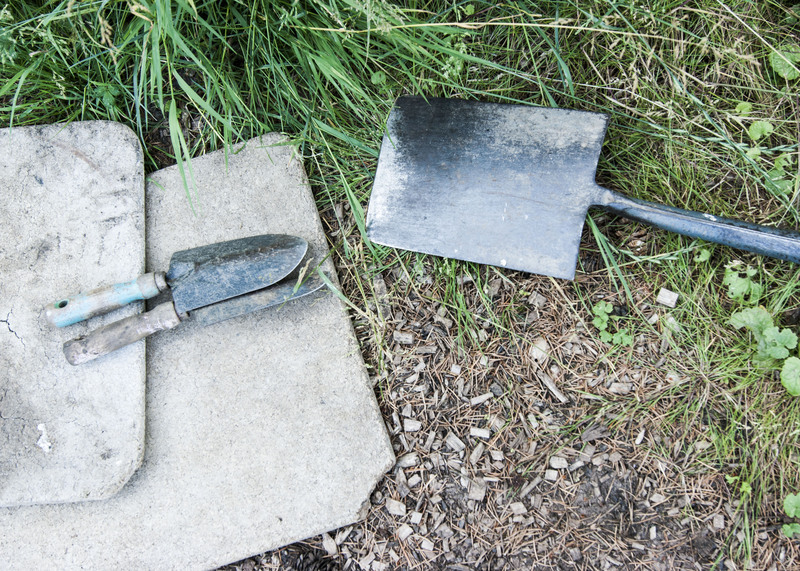 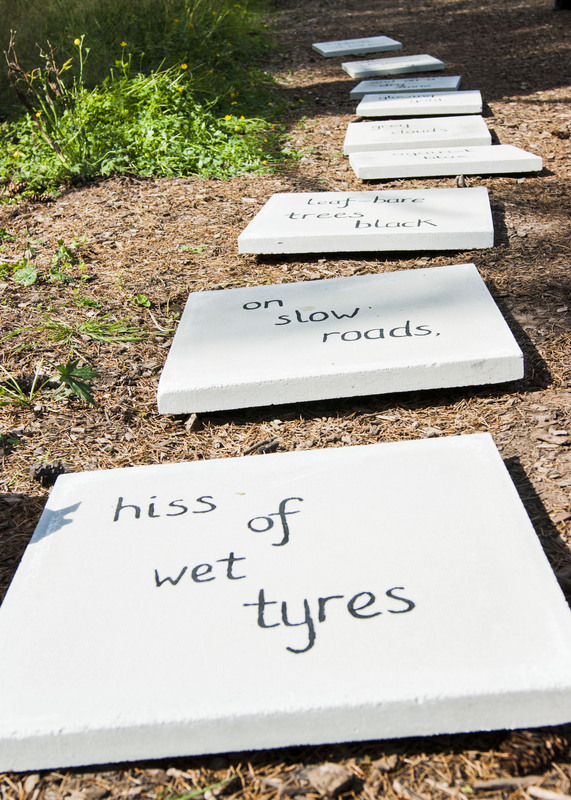 In the primary school, we looked at metaphor and the relationship between concrete and abstract nouns. 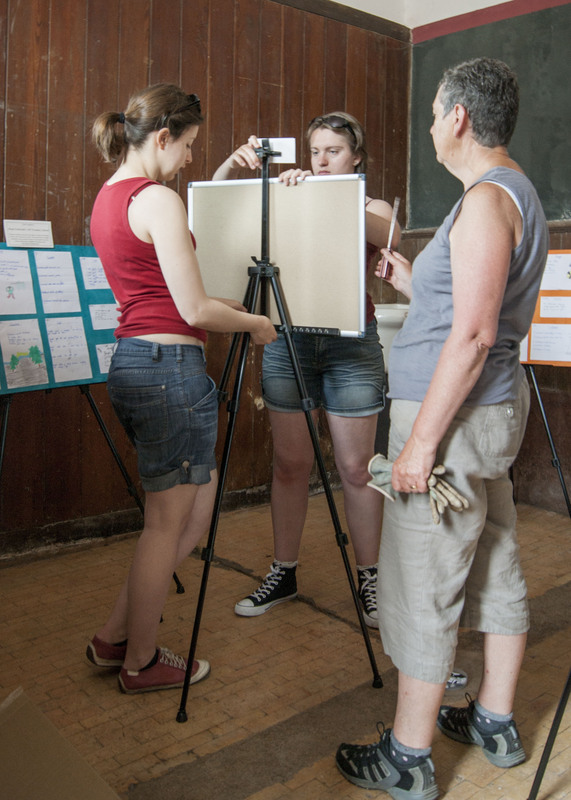 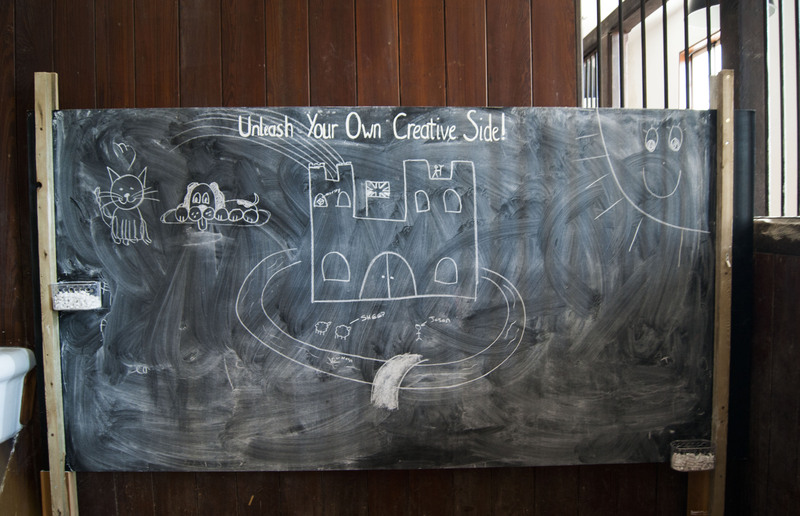 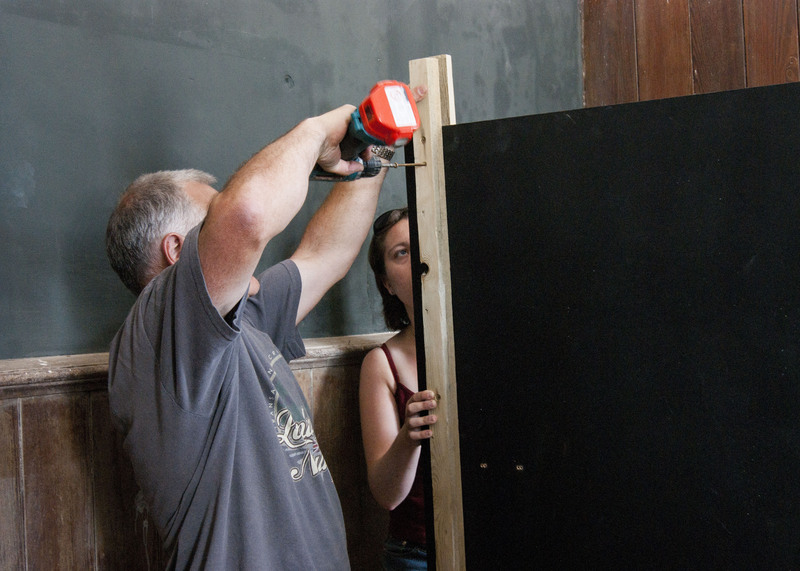 Find out more about my work in schools and with young people here. 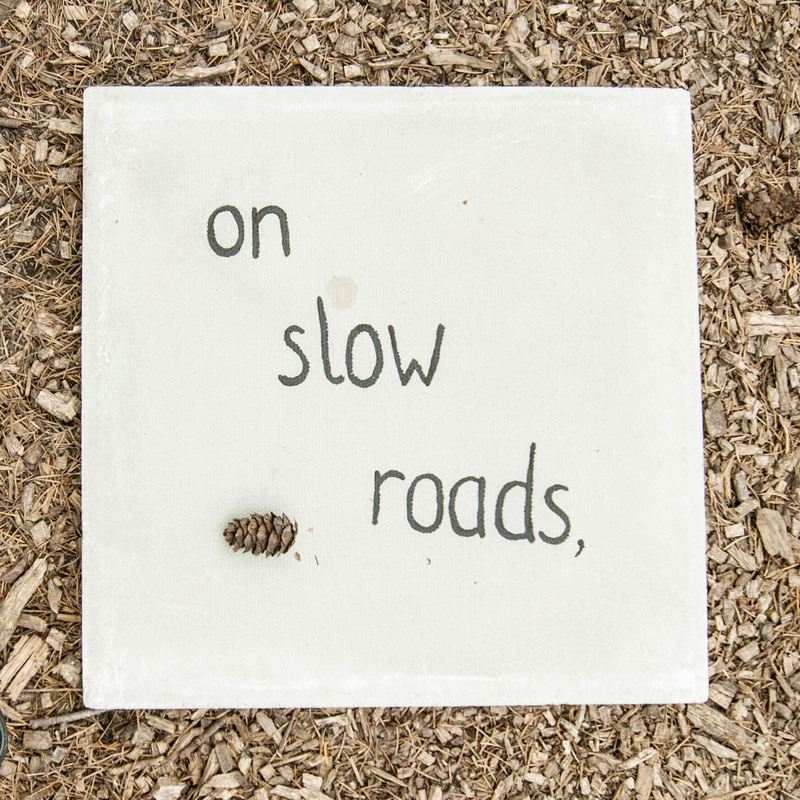 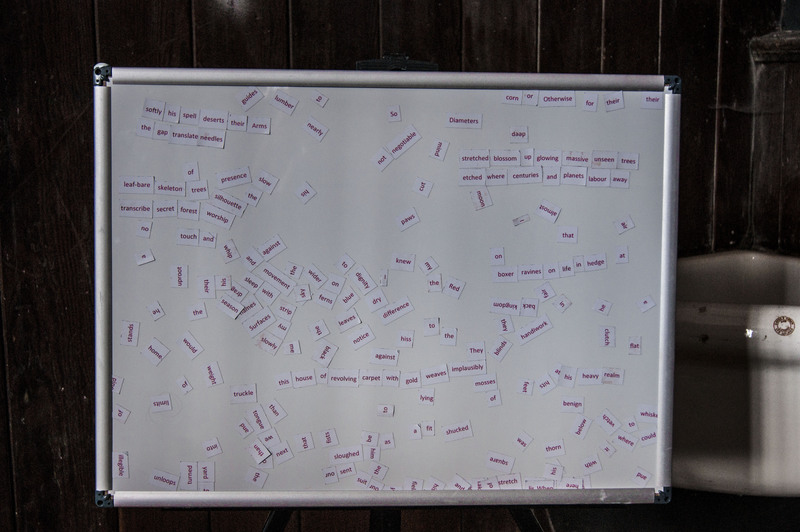 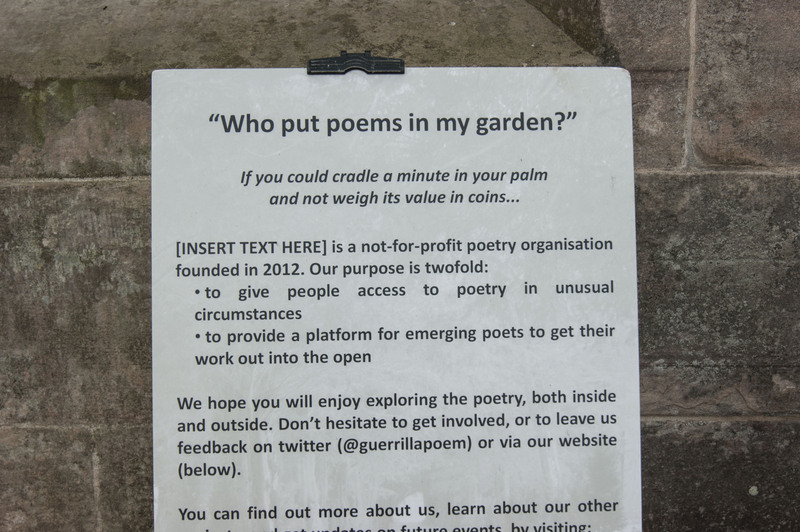 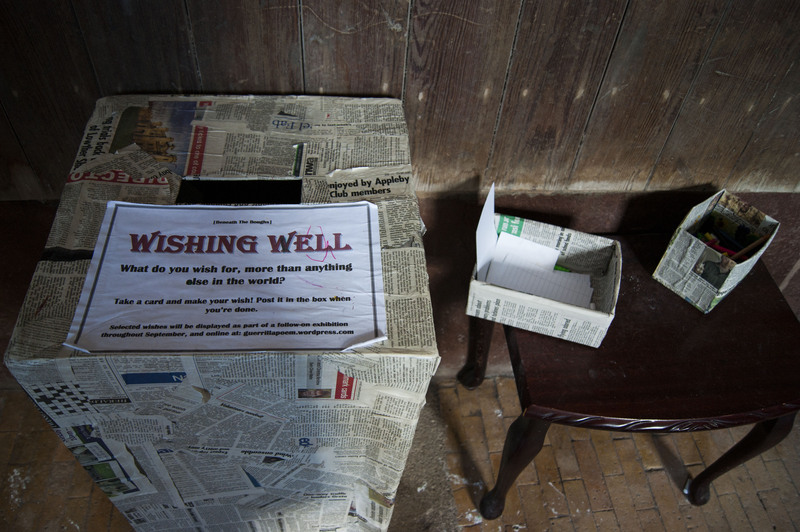 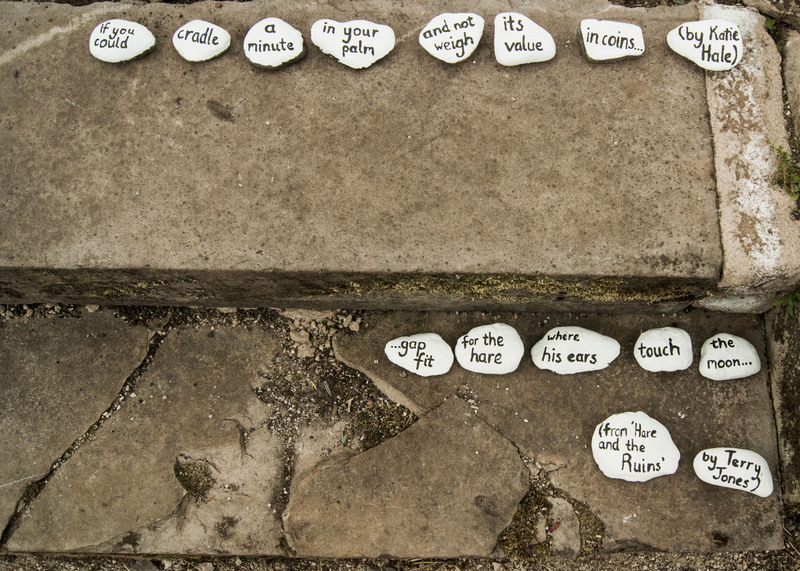 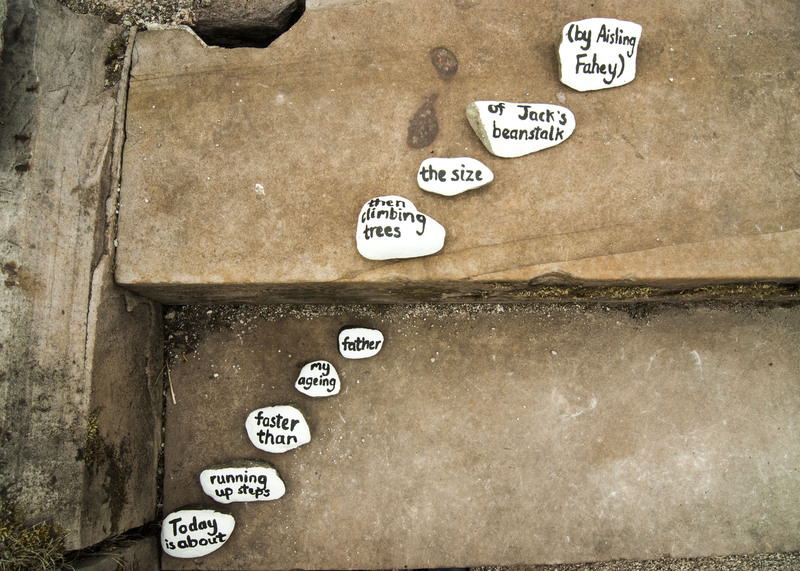 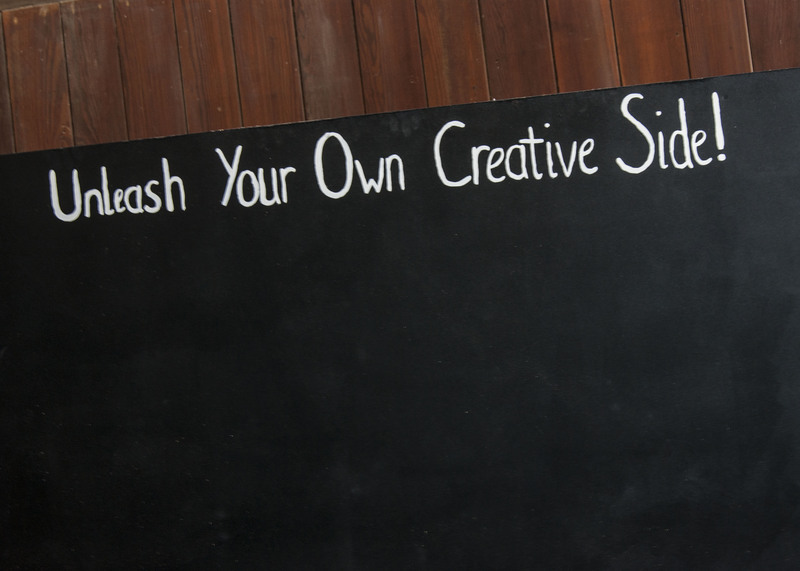 And check out my other ‘guerrilla poetry’ projects here.